The People Democratic Movement, (PDM), said Alhaji that Bashir Yusuf Ahmad is not the National Chairman of the Party, and that he has no capacity to function or speak as such. Speaking in Abuja on Wednesday after the meeting of the 36 state chairmen of the party and that of the Federal Capital Territory, (FCT), alongside the Chairman of the National Advisory Council, (NAC), and the National Secretary, the party said it invigorated by the Federal Hight Court’s judgement, even as it prepares to participate win the coming general elections at national and state levels. According to the Chairman of the National Advisory Committee, Chief Frank Igwebuike, Bashir Ahmad who is parading himself as national chairman of the party not only broke the laws of the country but has also gone ahead to disobey the constitutions of the party and disregarded the judgement of the high court which struck out his petition and awarded cost against him. Igwebuike said Bashir Ahmad is neither a member of the party, neither was he recognized by any of the 36 state chairmen of the party, including that of the FCT. Describing Bashir Ahmad as a political jobber who is only out to destroy the party ahead of the 2019 presidential and general elections, the NAC chairman explained that Bashir Ahmad had since left the PDM after joining the All Progressives Congress, (APC), and accepting the position of a board member of the Benin Owena River Basin Development Authority from President Muhammadu Buhari. Igwebuike said by joining the APC and accepting to serve under the current government, that Bashir Ahmad has violated Article 18.2 of the PDM’s constitution, which states that no member of the party shall hold the office of the party and government executive at the same time. 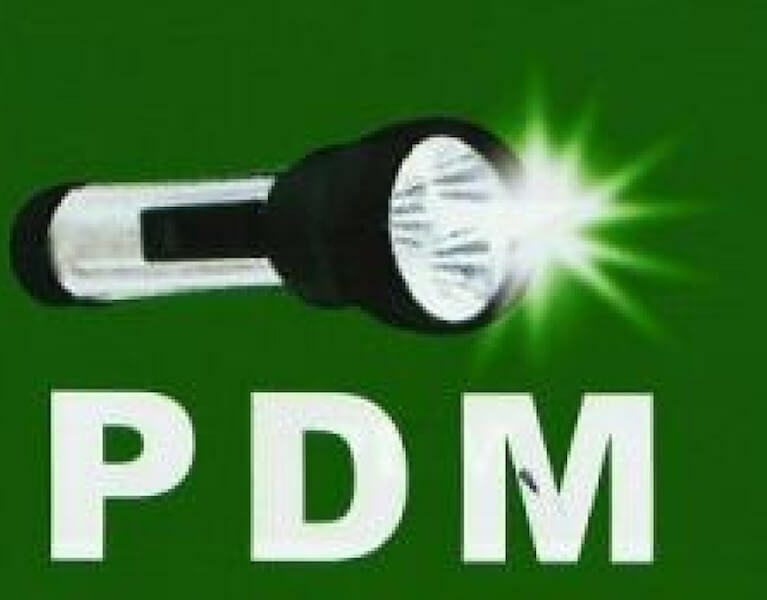 Pointing out the PDM is not a pro Buhari party and will never compromise its objective of wining the general elections in order to improve the lots of Nigerians who are daily graining under the current administration, the PDM NAC chairman noted the party will ensure Nigerians get the best of governance and accountability once it takes over government at states and national levels. Speaking on the party’s plan for the elections, National Secretary, Engineer Abubakar Gwadda, said the party has since commenced mobilization across all the six geo political zones in the country, adding the primaries of the party has been scheduled for August 1st.